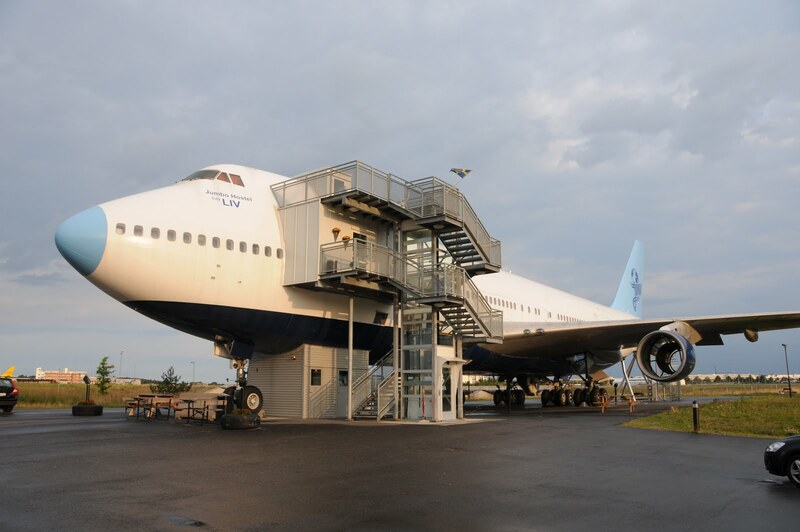 For tourists who come to Stockholm and haven’t made up their minds as to a place to crush, a topical hostel was build several years ago and a written-off Boeing 747 was used as a basis for it. It is called Jumbo Jet and it is located in the vicinity of Arlanda Airport. This place will perfectly suit those who travel trough the capital of Sweden and don’t want to spend a night in the terminal while waiting for the next flight. But in order to stay there, one should book a room in advance because there are merely 27 of them in it and they are almost never free. And sure enough a suite arranged in pilot’s cabin won’t be available unless booked several months in advance. If you are afraid of flying and of planes; if even the ones that stand firmly on the ground still scare you, best way out will be a night at Santos Express. This hostel constitutes a train that doesn’t move any more. More to be said, its “eternal station” is beautiful because it is situated on the territory of Mossel Bay in UAE. Beach in 30 meters’ distance, city landmarks in 5 minutes’ walk – what else does one need? 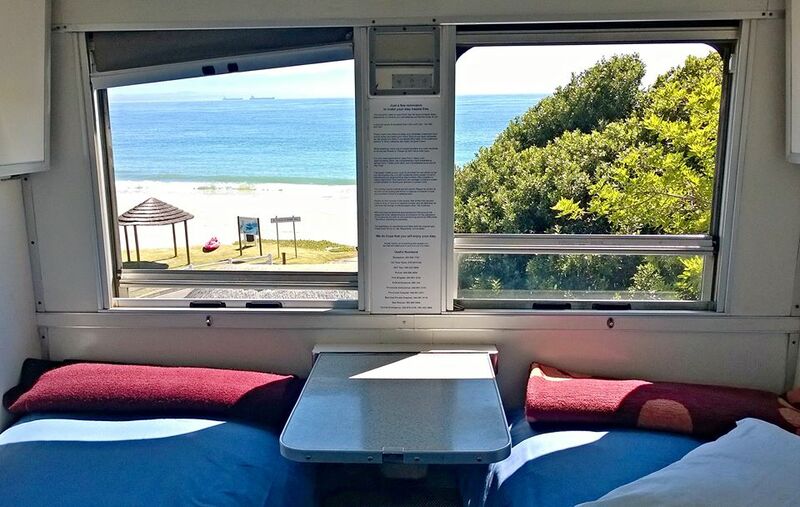 Tourists can get many-bed rooms in common cars or compartment-suits. Impressive view opens from every spot. 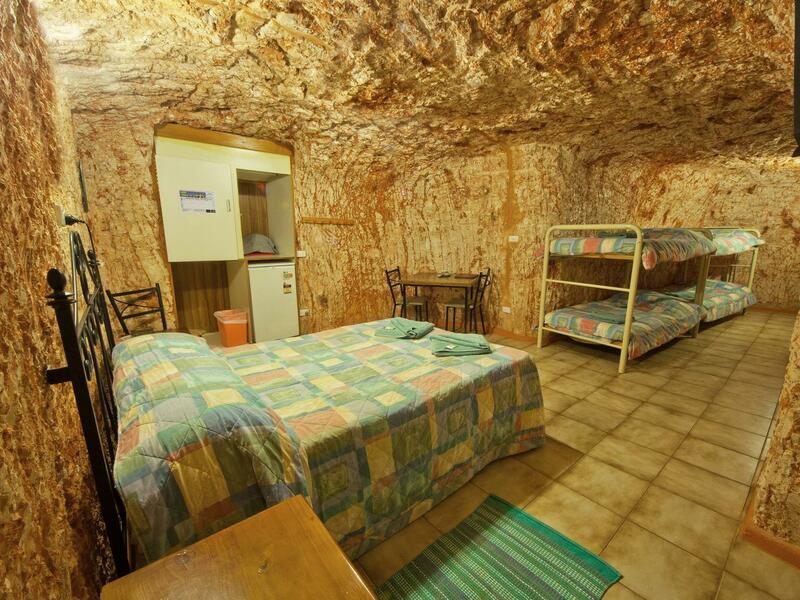 In Australian Coober Pedy the planet’s deepest hostel called Radeka Downunder has operated for thirty years already; it was built in a former opal mine. Surprisingly, when unbearable heat sets in in the area in summer, guests of the hotel enjoy comfortable temperature that doesn’t exceed 22 degrees. A Guest or a Prisoner? Capital of Slovenia, Ljubljana, gradually becomes new touristic spot in Europe; therefore everything, that has to do with travelers, develops really fast for people, who decide to go there, not to regret their choice. Hence, approach to hostels is very sound and creative. And the best example of one is already legendary Celica that used to be a strict military prison built back in the times of Austro-Hungarian Empire. 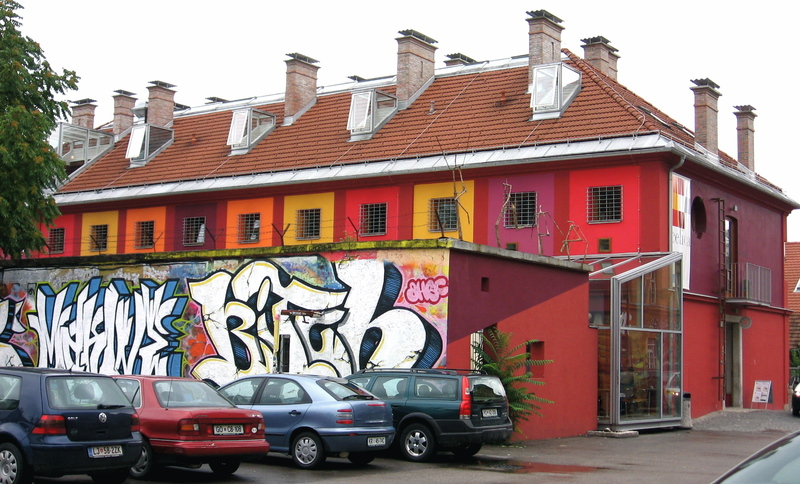 In early 2000s Slovenian artists and designers reviewed the building, that was abandoned back then, and created inside it a creative hostel of twenty rooms, each of them a former cell. And although occasional remaining treillage and peculiar windows remind about old times, atmosphere there is definitely creative and friendly. Mexican architects who built a hostel not far from El Tepozteco national park had a task of coming up with an idea of an object that would be cheap and short-term in terms of construction period. 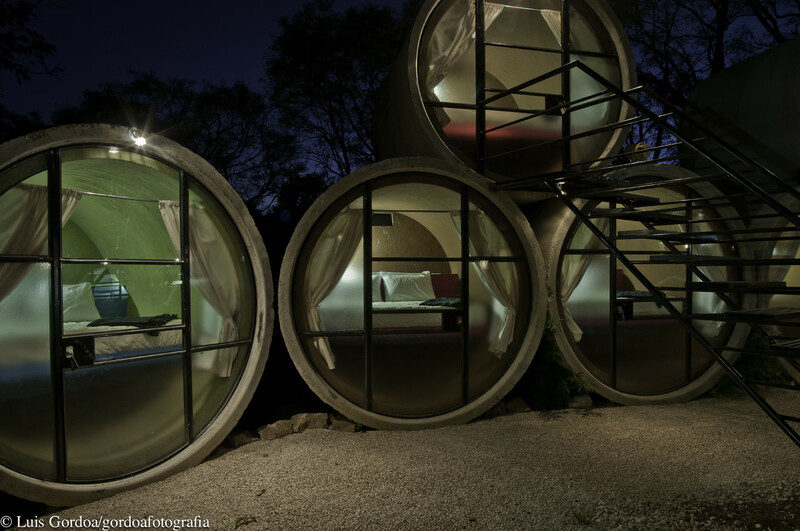 Judging from what they’ve accomplished, they were inspired by The Lord of the Rings movies because TuboHotel reminds a house of a hobbit more than anything else. Main matter used in construction was recycled concrete tubes. In each section there is a space-saving two-bed room. There are a total of twenty of them and they are almost permanently occupied by tourists who come to El Tepozteco. Who Lives on a Tree? 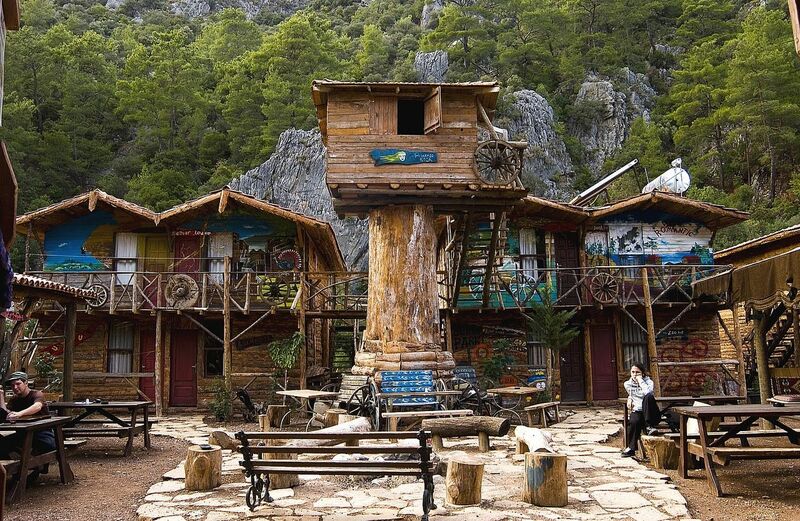 It is possible to feel like a teenager again and recall everybody’s favorite treehouse at Turkish Bayram’s Tree Houses hostel. There one can find amazing apartments on trees and exotic bungalows with shower and conditioner for those who like comfort. Aside from accommodation, travelers are offered walks around Olympos Reserve Park, canoe trips and spending time at snow-white beach. Legend has it that chimeras inhabit the famous mountain where eternal fire, stolen from the gods, burns. As to the former, the question remains open but there sure is fire – gas repeatedly escapes rocks and starts burning upon contact with oxygen – therefore guests are sure to get night fire shows. One can become a nomad at least for a night by staying at a constantly travelling Mongolian rancho Anak. It is as if it’s been specially created for adventurers – when booking a bed, don’t forget to inquire where exactly the nomad hotel will be located. Alongside accommodation – tents of different size – unforgettable horse-riding tours, exceptionally natural products and an opportunity to go hunting await guests. Such a trip is very likely to stick in one’s memory for long. Very often for the sake of advertising they tell how old hotels and hostels are, meaning that there is huge experience and traditions behind it all. Or they mention a famous architect who’s created the object. 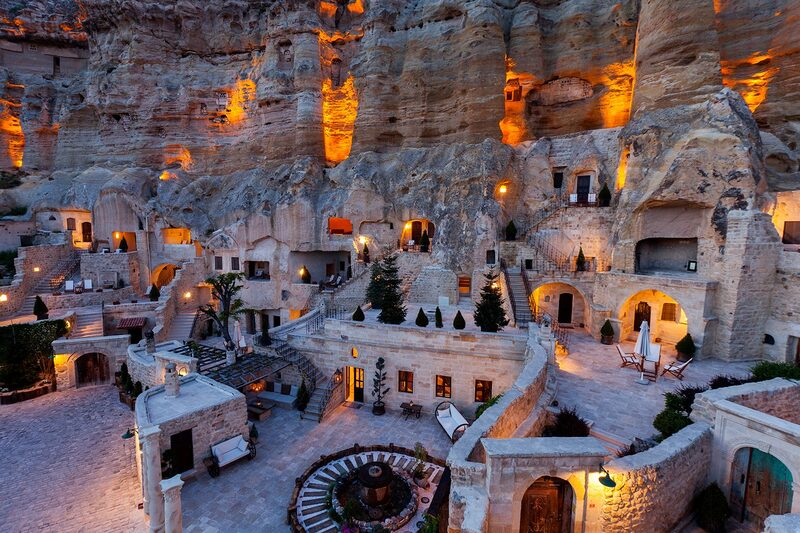 All this marketing fades away when it comes to Turkish Yunak Evleri Hostel in the territory of Cappadocia. All because local “rooms” emerged as far back as in A.D. 5th-6th century to constitute shelters for ancient tribes. And the one who erected all the beauty was nobody else but Mother Nature. Modern people merely helped her work match demands of tourists – provided Internet connection, equipped lavatories and brought in furniture. Now this system of caves makes up for a small hostel that can rightfully be considered one of the oldest in the world. 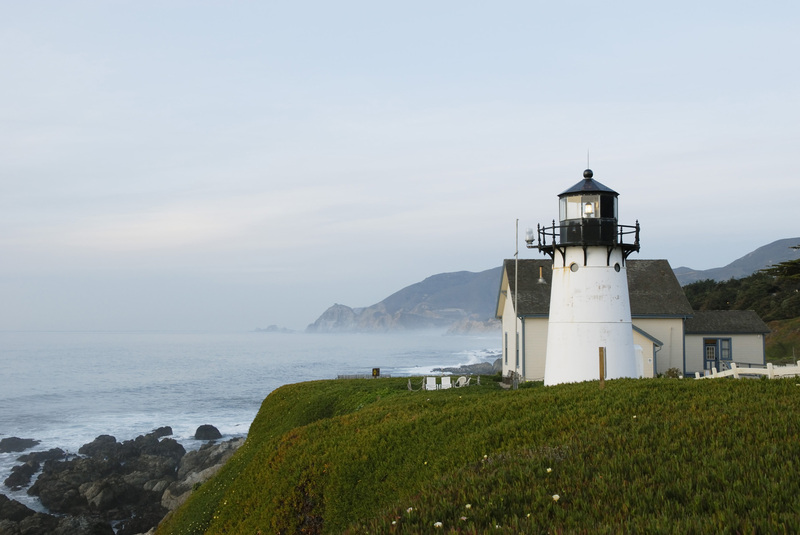 Point Montara, located on California coast of the Pacific Ocean, enjoys huge popularity thank to views that open from there. Comfortable hostel uses former lighthouse, built as far back as in 1875, as its main location. When there was no more need in it – some forty years ago – it was decided to build a retreat for tourists in its place. Aside from mind-blowing landscapes, there are wild beaches, surfing opportunities and even a chance to see whales with your own eyes (they swim to the very shore) at hotel’s guests’ service. By the way, although the lighthouse has been out of service for a long time, signal alerting system, that is more than hundred years old, operates perfectly till now.